Pizza and delivery have been synonymous for decades, and the number of people having it delivered to their doorstep continues to rise. But those customers still expect the same fast, fresh and hot pizza they’d enjoy if they were sitting at a table in your restaurant. How can you know if offering delivery is right — meaning both feasible and profitable — for your pizzeria? And, if you already offer delivery, what are some ways you can trim costs? Is your pizzeria in an urban or rural area, and what is your potential customer base? Is the delivery area two miles or 10? Are there competitors offering delivery and you’re not? These are questions that can help you determine the demand. You can also survey your dine-in customers and social media followers to gauge their level of interest. You may find that they normally come to your restaurant a couple times per month, but with a delivery option, they may order even more often. You’ll need to estimate what your forecasted profits will be and if you have time to manage the additional service and employees. List out all the expenses associated with offering delivery. Some of these will include a driver salary, insurance, hot bags, car toppers, and management costs. Also consider your POS system and any functionality enhancements it will require. Talk with an attorney to determine if it’s best to hire independent drivers or hourly employees because state and local labor laws differ. In contrast to expenses, you may find some additional savings—no dishes to clean or tables to be bussed, for example. Adding delivery service may make sense from a location and cost standpoint, but are you able to manage it? Also, is your kitchen and pizza staff equipped to handle the increased orders? You may need additional prep space, ovens, storage or staff to accommodate the increase in orders. Plus, people expect to get their delivery in a reasonable time frame. 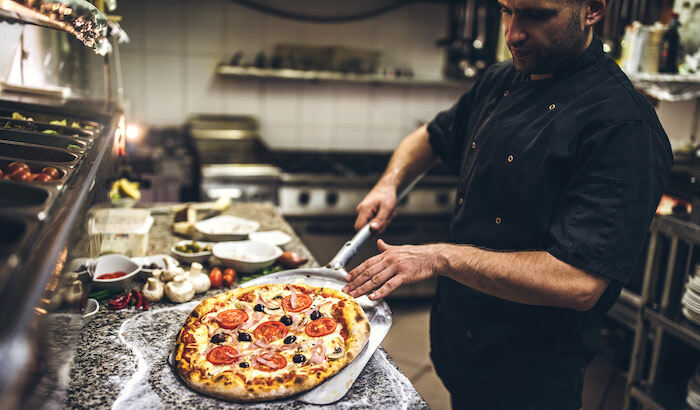 Having par-baked crusts or dough balls can cut way down on prep and cooking time, take up less space in your kitchen while still being able to offer high quality custom pizza. 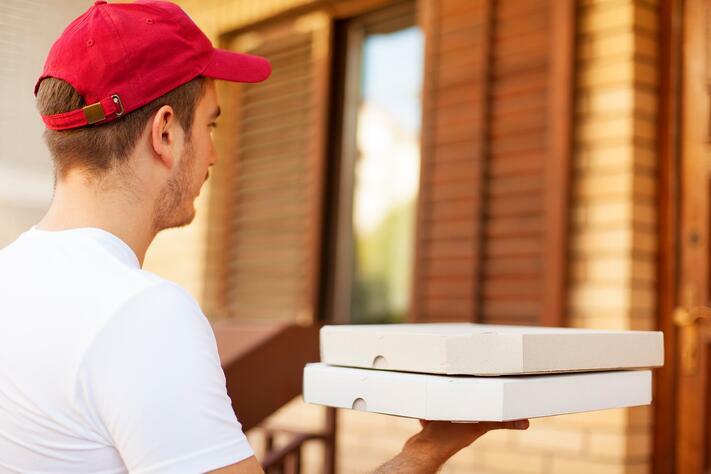 For more tips on making your pizza delivery service a success, check out our past article, here. If you’re in an urban area where weather permits, look at delivering on bicycles. In addition to fuel savings, it’s often faster than driving through congested traffic. Review the costs of outsourcing. There may be new labor options available to you now that weren’t when you first started offering delivery — the savings on wages and insurance may be worth it! Explore technology that can streamline your operation such as improved POS systems or online ordering apps like UrbanSpoon, Slice, or even your own proprietary app. Determine what’s best option for your business model, then get the word out in your community via promotion and word-of-mouth advertising. You’ll likely find that the value-added service of delivery can increase your customer base, reputation and profits. 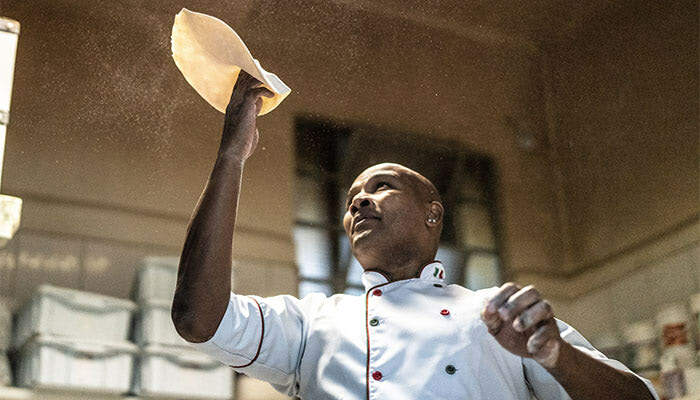 Want to learn how to connect with customers to let them know what’s new at your pizza restaurant? Download our Social Media Guide to get started.